The Allahabad High Court quashed disciplinary proceedings against a senior advocate initiated by the Uttar Pradesh Bar Council on a complaint accusing him of grabbing land. The Bench comprising Justice V.K. Shukla and Justice Mahesh Chandra Tripathi observed that such disputes relating to property should be decided by the competent civil court and not by the Bar Council. The Bombay High Court declined to give a relief of interim stay in a PIL filed by petitioner Masood Ansari, wherein petitioner raised objections to the resolution of the Shiv Sena-BJP controlled Brihanmumbai Municipal Corporation (BMC)/MMC (Mumbai Municipal Corporation) whereby in its proposal No. 826, it plans to implement ‘suryanamaskar’ (sun salutation) and yoga as mandatory in all civic schools. Private unaided medical colleges in Maharashtra will now have to adhere to state domicile rules and reserve 85 per cent seats for local students. The Bombay High Court on Monday refused to interfere with the National Eligibility Entrance Test (NEET) and gave a go ahead for the admission process as per the rules brought about in August this year. The Court ruled that imprisoned pregnant women should have complete right to make motherhood choices and should not be treated any differently from other pregnant women. The court stated that if the prisoner desires to terminate her pregnancy, she should be taken to the civil hospital on urgent basis. The High Court ruled that water requirements for KumbhMela to be held at Nasik and other religious purposes will be met only after addressing the priority level laid down in Clause 4 of the Maharashtra State Water Policy. Assaulting wife and her parents and creating nuisance at her workplace, under the influence of liquor, amounts to cruelty, the Chhattisgarh High Court held. The Delhi High Court in Manoj Kumar Shokeen vs. RaghuvinderShokeen, dismissed an election petition filed by BJP MLA Manoj Kumar Shokeen. Justice Valmiki J. Mehta dismissed the petition on technical grounds as it violated sections 81(1) and 82(A) of the Representation of the People Act, 1951. The High Court of Delhi on Monday suggested that FIRs may be electronically communicated to magistrates, in satisfaction of Section 157 of the Code of Criminal Procedure (CrPC). On Friday, the High Court dismissed a petition filed by two Pakistani nationals seeking to engage in a liver tissue transplant. The petition, filed by the donor and the recipient, was rejected on the ground that the parties had failed to rule out the possibility of a commercial transaction between them. In State Bank Of India vs. National Commission for Scheduled Castes and others, the Court held that the National Commission for Scheduled Castes cannot entertain a complaint against disciplinary action taken by an employer against an employee belong to the Scheduled Caste, in the absence of any allegations against the former for violation of orders related to reservation policy. The High Court in Siddharth International Public School vs. Motor Accident Claims Tribunal andOrs., directed the appellant school to admit a child with special needs under the EWS (Economically Weaker Section) category after providing him age relaxation. In Deccan Chronicle Holdings Ltd. vs. Reserve Bank of India & Anr. The court held that the CBI is empowered to invoke the provisions of Section 102 CrPC for freezing the account of the petitioner without issuing a prior notice to it either before or simultaneously with the action of attaching its bank account. A PIL has been filed in the Gujarat High Court seeking ban on Pokémon Go for its alleged violation of religious sentiments. The matter is slated for hearing on 5th October along with the main PIL. Holding that a private complaint against a public servant need not be accompanied by an order of sanction, Justice Anand Byrareddy of the Karnataka High Court has refused to follow dictum laid down in an apex court judgment, widely opined as per incuriam, wherein his own judgment was upheld by the Supreme Court. A Division Bench of the Kerala High Court, in K.K Purushothaman& Anr v Santhamma& Anr, held that Sree Narayana Guru was a social reformer and not an avatar of God. The Madurai Bench in P. Panchali w/o Periamayan vs. The Chief Engineer Madurai dealt with the issue whether a nominee is a legatee or a trustee in respect of terminal benefits of the deceased. Justice S. Vimala decided that legal heirs would be entitled to terminal benefits, and not the nominee alone. The High Court dismissed a petition filed by a Law student for blocking ‘Pokemon Go’ game websites allowing the download of application, software, avatars of Squirtle, Pikachu, Charmander, Balbasaur pictures, images, animated design or any pictures in any form within the geographical area of India. The Court rejected the plea to permit the presence of an independent forensic expert of the appellant’s choice during the autopsy of his son Ramkumar, accused in Swathi murder case, who died in police custody. Refusing a plea to transfer a domestic violence case, which was filed by widow mother who was compelled to leave the house by her son and daughter-in-law, the Orissa High Court held in Rabindra Nath Sahu & Another Vs. Susila Sahu that ‘temporary residence’ referred in Section 27 of the Domestic Violence Act includes a place where the aggrieved person was compelled to reside in view of commission of domestic violence. The Patna High Court in Rajesh Kumar vs. Pushpa Rani, considered the sustainability of a decree for judicial separation. The Bench comprising Chief Justice Iqbal Ahmed Ansari and Justice Nilu Agrawal dealt with the effect on a person, who having received a decree of judicial separation and later a divorce decree, proceeds to remarry and father children. 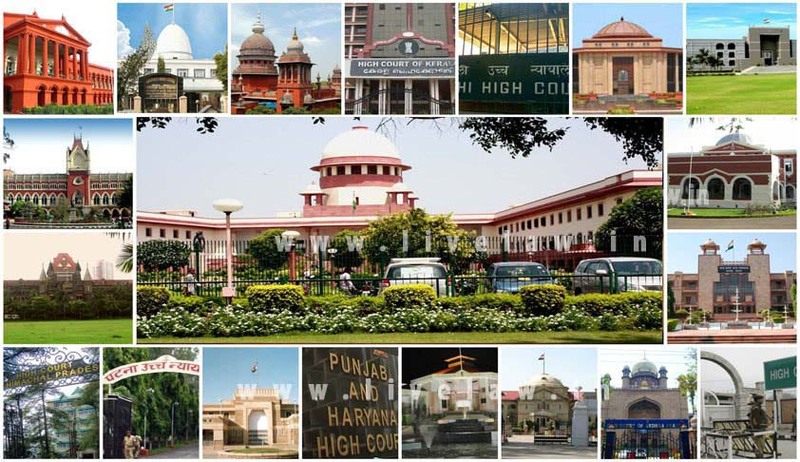 The Tripura High Court in Dipika Sharma vs. Sudip Sharma, held that the high court, by exercising its power under Section 24 of the Code of Civil Procedure, can transfer a matrimonial proceeding from family court to district court (in a district where there is no family court) and from district court to family court or from district court to other district court. The court also held that a maintenance application under Section 125 CrPC pending before a magistrate can also be transferred to a family court and vice versa, exercising power conferred to the high court under 407 CrPC.